This website, and the Email address cadsa@cafc.co.uk, are operated by Charlton Athletic Disabled Supporters Association. Charlton Athletic Disabled Supporters Association (“we” or “us”), aka CADSA, collect, use, and are responsible for certain personal information about you. We are regulated under the General Data Protection Regulations which apply across the United Kingdom and we are responsible as “controller” of that personal information for the purposes of those laws. We may share your information with law enforcement agencies in connection with any unlawful activity investigations. We will hold your personal information for the length of time that you are a member of CADSA and we rely on the identification of, and contact with, our members as the legal basis on which we collect and use your personal information. We have appropriate security measures in place to prevent personal information from being accidentally lost, or used and accessed in an unauthorised way. We limit access to your information to those who have a genuine CADSA business need to know it, although any law enforcement agency requesting this information will be allowed access. Those processing your personal information will only do so in an authorised manner and are subject to a duty of confidentiality. We will also use technological and organisational measures to keep your information secure. We have procedures in place to deal with any suspected data security breach and we will notify you, and any applicable regulator, of any such breach where we are legally required to do so. 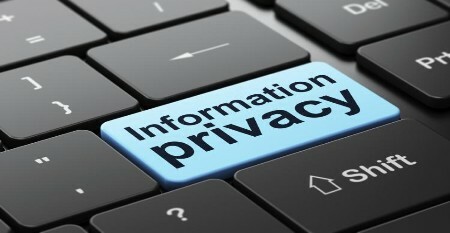 While we will use all reasonable efforts to secure your personal information it should be noted that while you have access to our website acknowledgement of the fact that the use of the internet is not always entirely secure should be recognised and, for this reason, we cannot guarantee the security or integrity of any personal data that is transferred either from you or to you over the internet. require the erasure of personal information concerning you upon request or when certain other situations arise. If you would like to exercise any of these rights please contact us at cadsa@cafc.co.uk, supplying enough information to identify you and any information to which your request relates. If you have any questions about this policy, or the information about you that we hold, please contact Tony Farrell at cadsa@cafc.co.uk .